We had quite the journey in acquiring our dining room chairs which you can read about here, here and here. 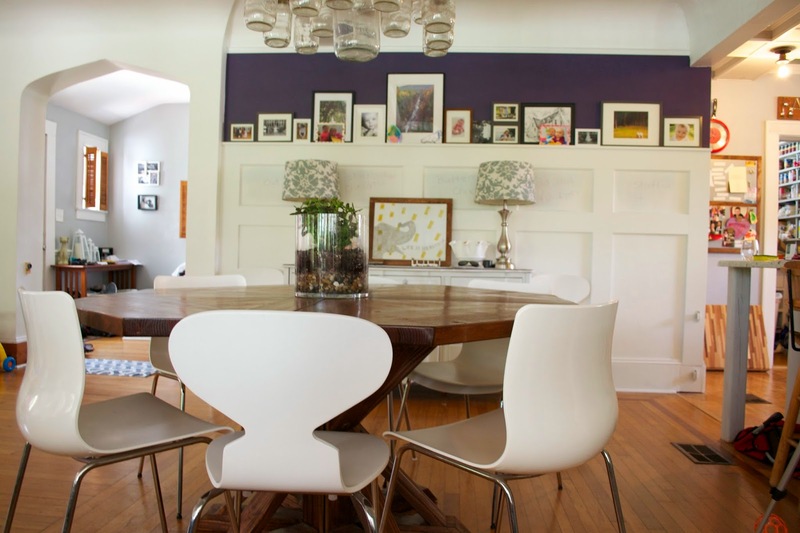 We were so focused on getting the chairs that we really never took the time to explain our choice of modern chairs and on top of that, mixed modern chairs for our dining room. We've slowly learned over time that we are most happy with a finished room when we have a combination of rustic with cleaner lines. With Will, we also need functional and easy to clean... like really easy or else it just won't get cleaned. 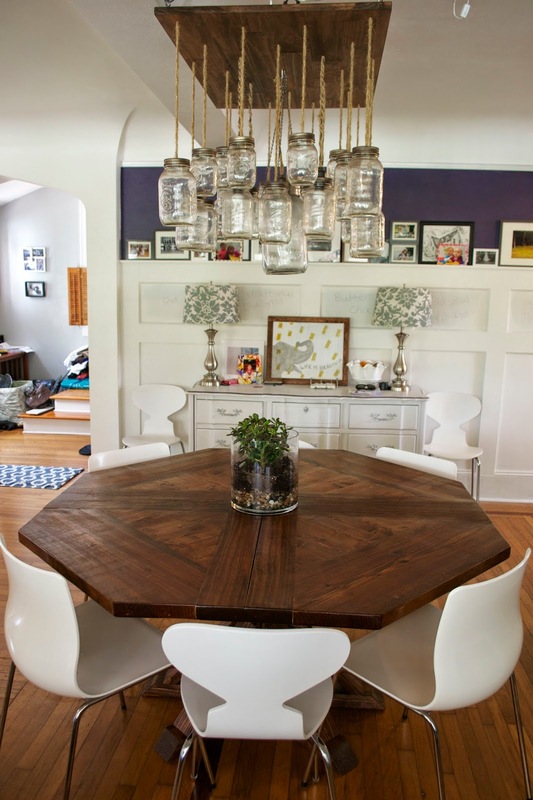 Once we settled on building our rustic dining table, the hunt was on for chairs. I cannot tell you how many different options we went through. Initially, I wanted metal chairs but after thinking for awhile it seemed like the room would feel a little too industrial for us. Then I was looking at really colorful chairs but we didn't want to overwhelm the room with color and since, at the time, we didn't know what we were doing with the walls, neutral seemed like a better choice. 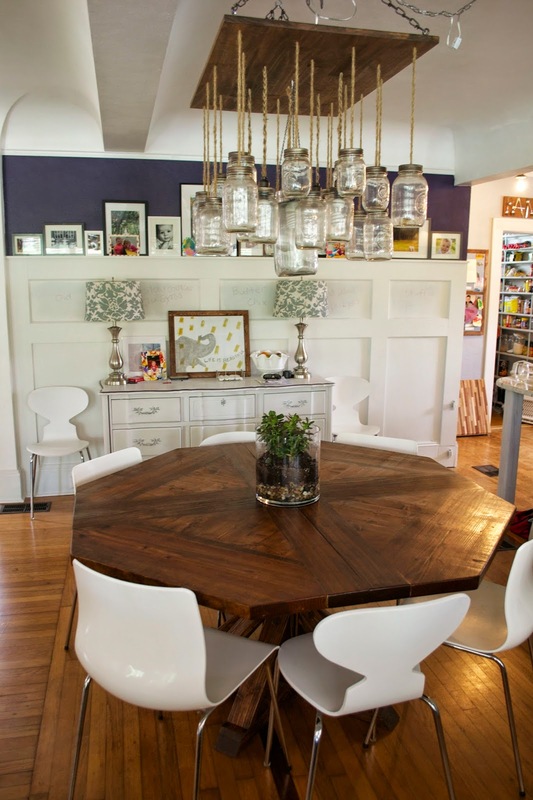 Then there was of course the comfort of the chair and how easily they were to clean so fabric chairs were out and wood chairs seemed like too much wood with our mason jar chandelier. Through a long process of elimination, clean white modern chairs seemed like our best option. When I found the set of IKEA Erland chairs on sale it seemed perfect and I do love them. They are so easy to clean and super comfortable for plastic chairs. But, they are on the masculine side of things and their width made it difficult to push the chairs in when they were next to on another. Enter the Restoration Hardware Forma chairs. They were also on sale and add a feminine touch being on the curvier side. They also allow for all the chairs to be pushed in around the table. I initially considered painting the RH chairs, but after a few months, I really like the all white chairs with the dark table. 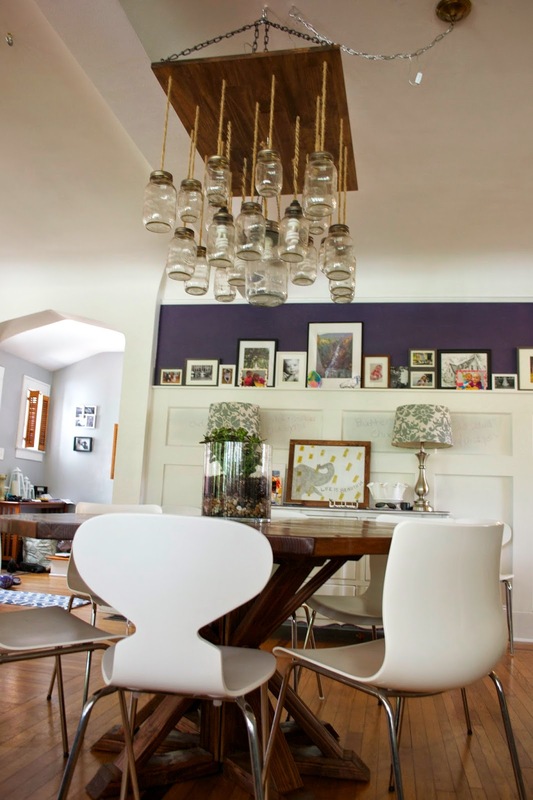 The combo of the chairs with the table and chandelier keep the room from feeling overly masculine or feminine and they have held up very well so far and once again, so easy to clean! If you are on the hunt for a new chair and considering going the modern route, you should really check out One King's Lane Complete Guide to Modern Chairs. It does a great job giving you the history of the modern chair and shows many options you may not have considered! I can speak from experience, any help you can get when narrowing down options is awesome and very much needed.